This is picture was taken three weeks ago at AMARG. 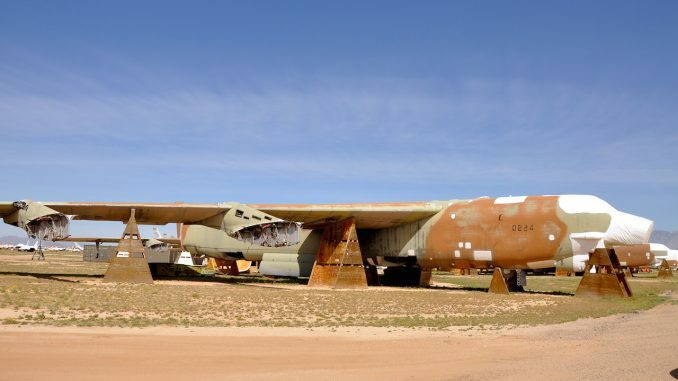 This B-52G is known by AMARG's personnel as "The last cut." 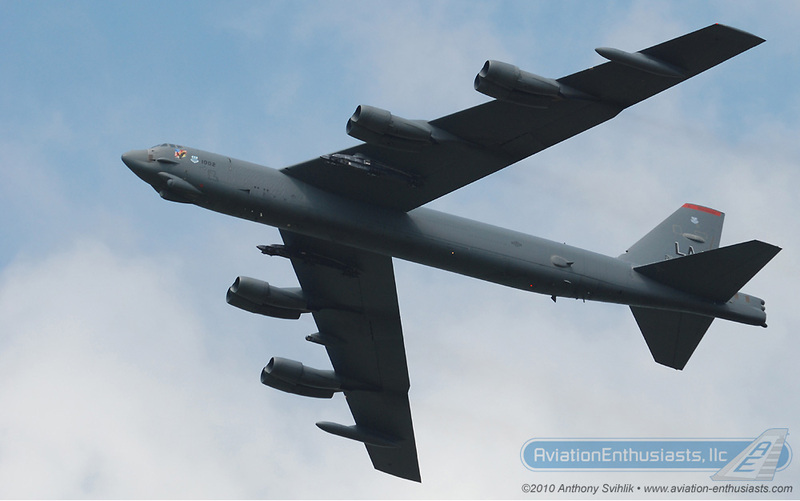 Sixty-two years ago today, the Boeing B-52 Stratofortress took flight for the first time. The B-52 began life as a proposed replacement for Strategic Air Command’s B-36s and B-50s. Originally designed to be powered by turboprops, Pratt & Whitney J57 turbojet engines were selected as the powerplant of choice. At the roll-out ceremony, Air Force Chief of Staff General Nathan Twining said: “The long rifle was the great weapon of its day…today this B-52 is the long rifle of the air age.” The BUFF (Big Ugly Fat Fellow) is the longest-serving front-line warplane in history and is one of the best-loved of all aircraft. Although it was designed as a nuclear bomber, the BUFF is capable of carrying a huge conventional payload. 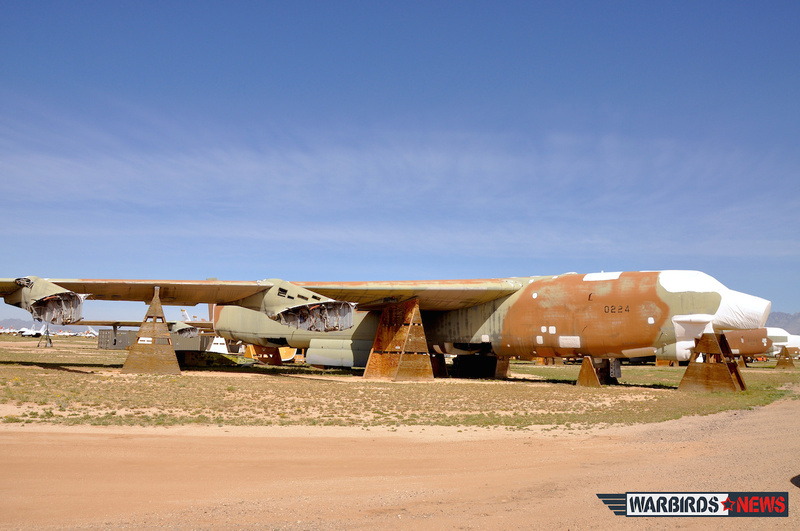 The B-52 was widely used in the Vietnam War and flew 1,624 sorties during Operation Desert Storm. Production of the B-52 ended in 1962 after 744 aircraft were built and 94 remain in Air Force and Reserve inventory. Here is a photo of a “BUFF” at the 2010 Thunder Over Michigan Air Show. Visit the website at www.aviation-enthusiasts.com for more aviation and air show memories! The B-52 is Big! But it is neither ugly or fat! ..climbed around about every inch of those guys..hard to believe the BUFF is still going..